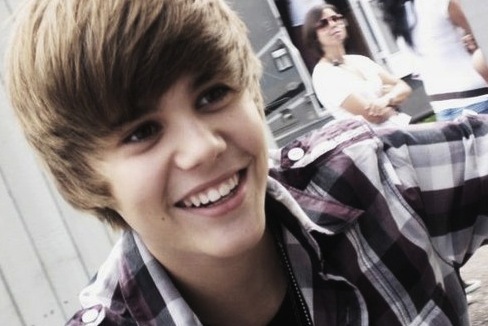 The first time I heard of Justin Bieber was last summer in the morning before I went to work. I was living in New York, and because it took me almost an hour to get to work in New Jersey everyday, I woke up fairly early and watched some VH1 music video show. There was this little kid on TV with Usher standing next to him. I was confused to say the least, but I just left it at that. Skip over the Bieber fever that has been 2010 thus far, and we arrive at this: a version of Bieber’s song “U Smile” digitally slowed down 800%. As you could probably guess, you can’t make out a single lyric of the song. But what’s astounding is how well this song would fit alongside songs by artists like Stars of the Lid, Fennesz, or Gas. The track is thirty-five minutes long and plays like an incredibly crafted ambient or experimental micro-sounds record. Oh, hello childhood. Nice to see you again. 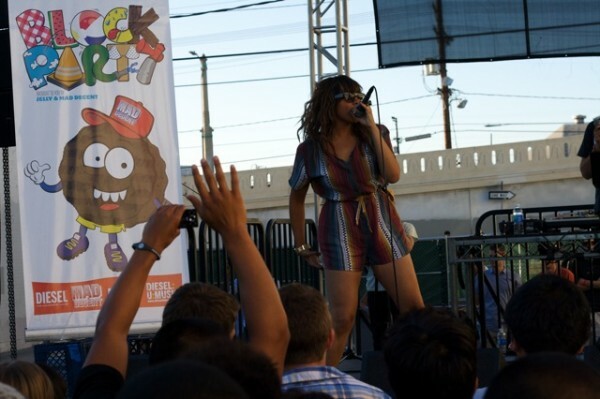 Kid Sister throwin it down at the Mad Decent Block Party L.A.
Mad Decent, a Philidelphia-based record label headed by Diplo, has put on block parties in Philly for the past couple years, but 2010 is the first time that it’s taken the show on the road. This year they’re hitting up three more cities. So far they’ve hit Philly and New York, and next weeks they’ll be off to Chicago, but today the show descended on L.A.
Next up was Bosco Delrey, who played a solid mix of harsh guitars and electronic beats for a while. One thing that I noticed about his songs (at least in a live setting) was that they were fairly long. Most artists making this kind of music tend to stick to 2/3 minute jams without really developing the ideas behind their songs. Delrey played songs that were 5/6 minutes long and had some actual heft to them. Theophilus London followed up Bosco Delrey, and while his indie brand of hip hop was pretty great, the fact that Kid Sister came up right after him sorta made him fade away. Kid Sis was the surprise guest of the evening and did a short set consisting of “Big ‘n Bad,” a new song that I didn’t recognize, and “Pro Nails.” It was short but sweet, and she brought all of the energy she usually does to the stage. Paul Devro came up next, and we stayed to enjoy dancing to Major Lazer’s “Pon The Floor,” a remix of Big Boi’s “Shutterbug,” and some other electro songs I couldn’t quite place. Oh yeah, Andy Milonakis was on and off stage all day. Maybe it’s because of this. After that we got out things together and headed out. Now I’m off to a Hercules & Love Affair show! M.I.A. (or someone who she’s heavily endorsing) has posted music videos on YouTube for nearly every song on her most recent LP, ///Y/ (read: Maya). More than anything else, these videos give everyone on the internet a semi-good quality version of every song to listen to. As you can judge pretty quickly from the Meds & Feds video above, there’s not too much depth to these. So yeah, go ahead and (try to) enjoy the new album if you haven’t listened to it yet. My favorite songs are Steppin’ Up, XXXO, Born Free, Meds & Feds, and Space. 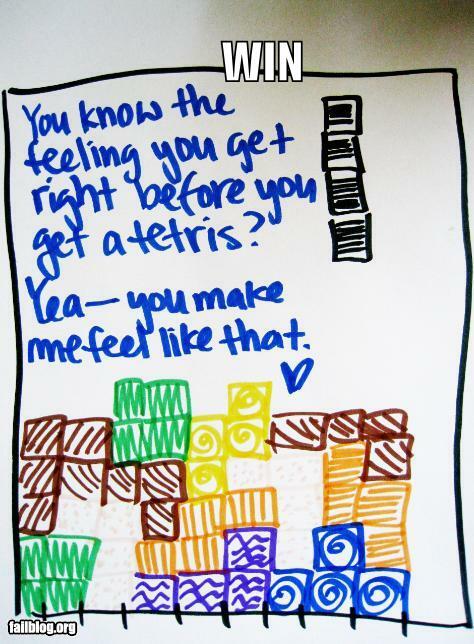 "You know that feeling right before you get a tetris?" La Roux’s debut album is a perfect example of a sleeper hit. It was released over a year ago, but only recently did the song “Bulletproof” get any serious air play. It’s a perfectly-paced record, that puts singer Eleanor Kate Jackson’s voice on top of bouncy electropop beats. Producer Skream makes the kind of dubstep that proves that the genre deserves some credence. His music seats itself in the fog of night dripping in reverb, and it stays far away from the strain of dubstep regurgitated over and over by producers like Rusko. This new song from Skream is his second piece that involves La Roux, the first being a remix he did of the band’s first single: In For The Kill. Both songs are amazing, so take a listen.